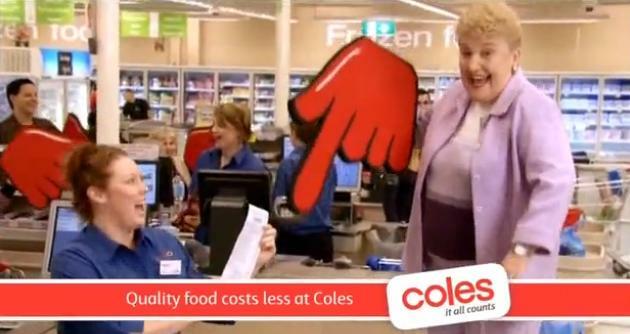 The famous and annoying catch cry, “down, down” and the big red finger might actually carry far greater symbolism for Coles and their reputation than they realise. As the brand becomes more elastic and focuses on ‘stretch, stretch how far can we stretch’, could this strategy actually bring the brand down or is Coles setting a new benchmark for Australian brands? Companies are always seeking new ways to grow and expand but when brands start to develop a bigger range of products, there is a danger of stretching the brand too far. Extensions can have a knock on effect that confuses the brand’s identity, its customers and can potentially leave the brand open to attack from more focussed competitors. Great brands have always been created from a single minded and compelling idea, a distinct aspiration to ultimately lead the pack, not follow. But every extension can dilute the core values of a brand a little bit more. Unless it remains true to the core theme, far from building long term growth it may well have the opposite effect on the brand. For brand stretch to be successful, the new product or service needs to relevant, credible and provide beneficial transfer that will continue to build the brand’s unique story. Apple famously shifted from an IT brand to become the ultimate representation of clever technology and communication convergence. The brand now is the benchmark for not only computers but also music players and mobile phones. But this has always been driven through a passion to think differently and be the intuitive soul of technology. Virgin has taken a slightly different approach, shifting away from product alignment towards specific notions of a rule-breaking, dynamic category challenger. But this is always driven by consistent values and a strong philosophy to be the consumer champion whether it is an airline, radio station, telecom or even health insurer. Coles has continued to extend its red finger beyond food and challenge what the brand represents to stretch into fuel, florists, credit cards, clothes and now insurance. Their first flirt with Shell ticked all the boxes. 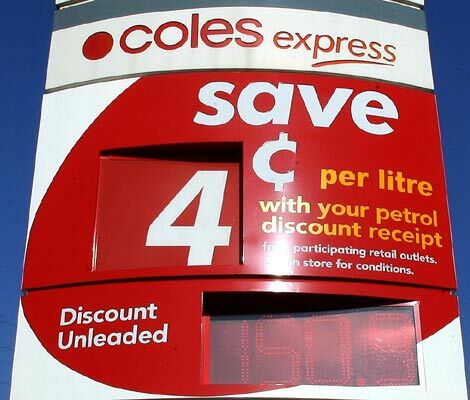 A co-branding between Shell and Coles Express changed not only the supermarket rules, but also the petrol market. Moving into petrol and convenience retailing seemed was mutually beneficial for both Coles and Shell. For Coles, it provided greater brand exposure and a sense of benefit for consumers. For Shell, more loyal traffic as well as ‘supermarket’ credibility for their convenience offering. The success of the fuel partnership forced Woolies to race into bed with Caltex and the remaining chains have now all scrambled to form petrol and supermarket partnerships. The Coles Source credit card again linked to a clear consumer benefit through loyalty points and provided by GE Money. Now Coles is at again, this time challenging the insurance giants with Coles Car Insurance and Coles Home Insurance. But the credibility of the “down, down” people providing insurance may be too much of a stretch. A grudge purchase for most of us, insurance is still something that we expect significant expertise, credibility and experience. Does a supermarket have the credibility to provide this? Coles’ sister brand Wesfarmers Insurance is behind the offer. This does provide some credibility but as a rural insurer, it seems more likely a strategy for Wesfarmers to use Coles to build their consumer insurance business in the city. While it might make sense for Wesfarmers Insurance, does this add to the Coles brand or will potentially confuse people about what Coles stands for? To sell us the brand association, the Coles tagline has been tweaked from “where quality food costs less” to “Australian families deserve quality car insurance that costs less”. It’s a clever play on the tagline. However, time will tell whether the equity transfer works and Coles is credible in providing car or home insurance or this potentially dilutes the Coles brand. Whatever happens, I’m sure Woolworths will be watching closely with a green boxing fist ready. Although, it might be more challenging to find an insurance link with “the fresh food people”. Or, will they just let Coles do the work and then jump on the bandwagon with “that’s my insurance”. How do you feel about a supermarket providing car or home insurance? Are Coles trying to stretch their brand too far? A New Day for branding disruptive thinking to engage new audiences.